W. Short Hotel Group continues its commitment to festivals, rolling out more instalments this month at the Australian Heritage Hotel in The Rocks and The Tudor in Redfern. 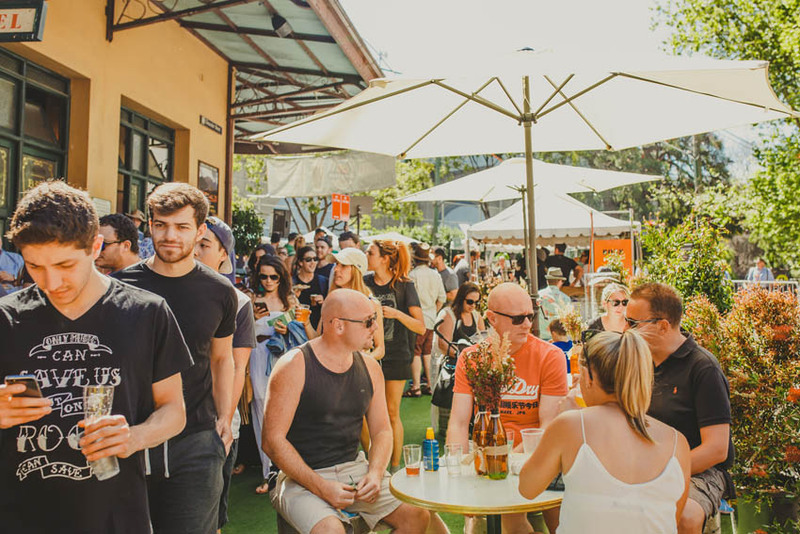 The 14th annual Australian Beer Festival will take place in the Australian Heritage 12-14 October, heralding another big street party for devotees of craft beer and food. 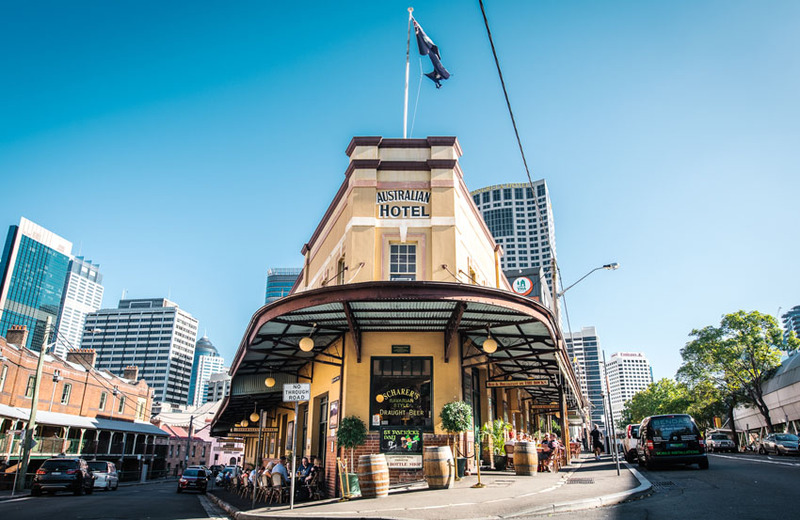 The weekend festivities take place on the pub’s dual frontages of Cumberland and Gloucester streets, set to showcase over 30 Australian breweries. Sydney stalwarts Young Henry’s, 4 Pines and Endeavour will join out-of-town returners Feral Brewing, Brick Lane, and Byron Bay’s Stone & Wood and more. Gourmet food stalls will serve up a range of burgers, hotdogs, dumplings and tacos, and by popular demand the renowned fresh oyster bar is back for another year, thanks to the group’s Seabreeze Beach Hotel South West Rocks. The traditional meet-the-brewer sessions will offer up the wisdoms of Moo Brew, Batch Brewery and Modus Operandi, with cider masterclasses by Willie Smith & Sons – fresh from their big wins at this year’s Cider Australia awards. Local live entertainment will comprise Kane Muir, Jesse Redwing and The Beans bringing serious festival blues, and Charlie Heart and Jamie Lindsay serenading the crowd with acoustic jazz. This will be the first year the Festival is cashless, with patrons set to use pre-loaded wristbands to purchase tasters, food and merchandise. Wristbands can be topped-up as required. 2018 also sees a range of competitions, including an opportunity to win a trip for two to the award-winning Balter Brewery. Tickets are sold for $25, which includes five tasters, or $45 with ten tasters. 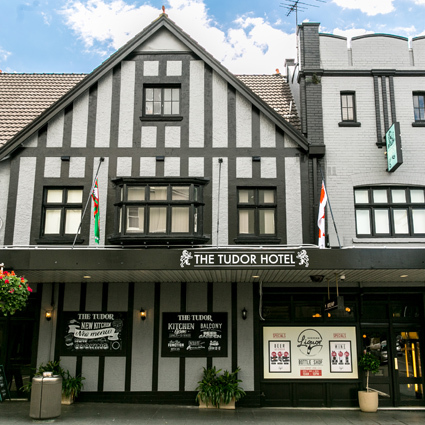 At the other end of the CBD, the annual Cider Festival will take place at Redfern’s The Tudor Hotel on Saturday 20 October. The Festival celebrates the best of NSW cider brewers, welcoming back favourites Young Henrys, Batlow Cider Co, Bilpin and Yullis. Food available will include festival favourites and signature Tudor dishes, including pork sliders, pork hotdogs with apple slaw, chicken parmy, schnitty and sticky wings. And for entertainment, the Tudor Comedy Crew will perform upstairs. Entry to the event is free, with five tasting tickets available at the bar for $15 with a cider cup.